Feeling better is easy. Getting better is hard. The notion of ‘better’ is as daunting as it is motivating. It sits at the core of our decision making, both in the moment, or our ambition and goals as it relates to an unknown and unknowable future. To ‘feel better’ is easy, and is, therefore, a powerful force, magnified by messages from the many merchants of ‘feeling better’. 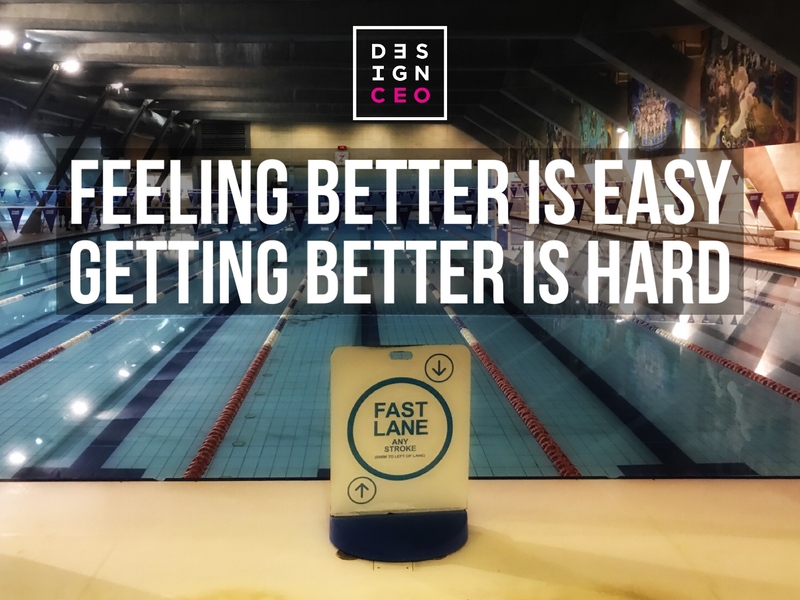 The ‘feel better’ options also distract and confuse the ‘get better’ processes. We are all customers of the ‘feel better’ and the noise and pull can be overwhelming. To ‘get better’ means challenging yourself, and as a good rule-of-thumb, if it’s too easy, it shouldn’t be trusted. I often say to people, that the best leaders I’ve worked with are not the most talented or gifted, they have established the best habits. They have turned the ‘get better’ into a daily practice, often years in the making.